We’d love your help. Let us know what’s wrong with this preview of Humility by Andrew Murray. To ask other readers questions about Humility, please sign up. Please can I get the English version of the eBook? Judilynn Yes, there is a very good version of this book on Amazon. It is by Aneko Press and is an updated modern English version that was published in 2016. The fact that I'm "finished" with this book should not by any means be interpreted to mean that I'm "finished" with respect to humility. In fact, this book quickly convinced me that I'm not even "started." That's worth knowing if nothing else, but Murray also provides a hopeful path forward for those who are starting to perceive their own need. I think highly enough of Murray's Humility that I've started working on my own simplified-language edition, but don't wait for that to be done! Get the or The fact that I'm "finished" with this book should not by any means be interpreted to mean that I'm "finished" with respect to humility. In fact, this book quickly convinced me that I'm not even "started." That's worth knowing if nothing else, but Murray also provides a hopeful path forward for those who are starting to perceive their own need. This is a really amazing book about why being prideful is so terrible when we are Christians. It talks about the relationships between humility and holiness, sin, faith, death to self, happiness & exaltation. It also gives some wonderful examples about how Jesus displayed humility, as well as the examples of humility & lack of humility of his 12 disciples. There are so many important lessons here about being humble before God, but most importantly being humble in our everyday life among This is a really amazing book about why being prideful is so terrible when we are Christians. It talks about the relationships between humility and holiness, sin, faith, death to self, happiness & exaltation. It also gives some wonderful examples about how Jesus displayed humility, as well as the examples of humility & lack of humility of his 12 disciples. There are so many important lessons here about being humble before God, but most importantly being humble in our everyday life among others. WOW! A fairly accurate indicator of how I enjoy and digest a book is how many quotes I keep. I picked up more of Murray's phrasing than I probably have from the last five books I have read. And this was a very short book. He looks at humility as primarily a vertical issue, the major indicator of one's relationship with God. The likes of How to Win Friends and Influence People can teach the outward habits of seeming humility, but Murray is not so easily satisfied. Real humility, he argues, require WOW! A fairly accurate indicator of how I enjoy and digest a book is how many quotes I keep. I picked up more of Murray's phrasing than I probably have from the last five books I have read. And this was a very short book. This book was recommended to me by a close friend, who told me that if he could only get people to read one book other than the Bible, it would probably be this one. Naturally, I was impressed, and having now finished it, I can see why he felt that way. To me, the greatest teaching books are the simplest ones, and this book is both simple, and extremely powerful. The author does not waste words (the book is quite short) but clearly and beautifully presents the truth that humility is the essential This book was recommended to me by a close friend, who told me that if he could only get people to read one book other than the Bible, it would probably be this one. Naturally, I was impressed, and having now finished it, I can see why he felt that way. To me, the greatest teaching books are the simplest ones, and this book is both simple, and extremely powerful. The author does not waste words (the book is quite short) but clearly and beautifully presents the truth that humility is the essential characteristic of the Christian life, and that pride stands as the one defiant obstacle to everything God wants to do in us, and through us. If we would be like Christ, there is one thing we must do every day of our lives on this earth, and that is to humble ourselves. God is near to the humble, but knows the proud afar off. Which of us hasn't prayed that God would be with us, without ever considering if we have met the basic qualification for that prayer to actually be answered? I cannot even begin to imagine the kind of earth-shaking impact we could have as the Church, if every one of us would put into practice the principles taught in this book. I personally plan to reread it often, but more importantly, to make humility in my own life the object of earnest prayer and seeking. I read this book every six months. It's like a spiritual detox from all the self-help messages of the world. So good. I'm going to re-read it immediately and chew on some of these thoughts a bit longer. Nick I have the Whitaker edition which I bought off the Friends of the library rack for 10 cents! According to Murray, humility is the attribute that most Christians need but that most don't want. It's the "forgotten" virtue that enables us to be most like Christ. True humility involves dying to self and letting Christ live in you. A common misconception of "death to self" is that it annuls one's personality, but just the opposite is true. Murray says that the "death-life" enables us to be our true (as we were meant to be) selves because as we become less, we actually become more as Christ d According to Murray, humility is the attribute that most Christians need but that most don't want. It's the "forgotten" virtue that enables us to be most like Christ. True humility involves dying to self and letting Christ live in you. A common misconception of "death to self" is that it annuls one's personality, but just the opposite is true. Murray says that the "death-life" enables us to be our true (as we were meant to be) selves because as we become less, we actually become more as Christ dwells in us in His fullness. Throughout the book he makes references to the idea that the main attribute of Satan was pride and the main attribute of Christ was humility. "When we see that humility is something infinitely deeper than regret [over past sins], and accept it as our participation in the life of Jesus, we will begin to learn that it is our true goodness. We will understand that being servants of all is the highest fulfillment of our destiny as men created in the image of God." "Don't look at pride only as an unbecoming temper, nor at humility only as a decent virtue. The one is death, and the other is life." No one wants to think of him/herself as an arrogant, prideful, conceited person, but after reading this book, one will have no other choice, but to admit that the "number one virtue" eludes our understanding. The one thing the body of Christ needs to imitate is the one thing we refuse to practice...humility. The bragging, overlooking each other and boasting is idolatry. I have shared this book with several friends. Their responses were staggering...no comments. Nothing was said after they claime No one wants to think of him/herself as an arrogant, prideful, conceited person, but after reading this book, one will have no other choice, but to admit that the "number one virtue" eludes our understanding. The one thing the body of Christ needs to imitate is the one thing we refuse to practice...humility. The bragging, overlooking each other and boasting is idolatry. Small, powerful book on humility—what it is, why we should have it. Murray says it is the fundamental virtue for all Christians. This makes sense to me, because I see how its antithesis, pride, is the root of so much sin. Reading this book has helped me be more alert to opportunities to die to myself and put others first. I have a long way to go, but this was a good help! "Humility: the Beauty of Holiness" is a powerful little book; less than 100 pages long, but full to overflowing with awesome insights into one of the Christian's most over-looked character qualities. One of the most convicting quotes for me is "...the only humility that is really ours is not that which we try to show before God in prayer, but that which we carry with us, and carry out, in our ordinary conduct; the insignificances of daily life are the importances and the tests of eternity, becau "Humility: the Beauty of Holiness" is a powerful little book; less than 100 pages long, but full to overflowing with awesome insights into one of the Christian's most over-looked character qualities. One of the most convicting quotes for me is "...the only humility that is really ours is not that which we try to show before God in prayer, but that which we carry with us, and carry out, in our ordinary conduct; the insignificances of daily life are the importances and the tests of eternity, because they prove what really is the spirit that possesses us." I will definitely be rereading this several times over. Andrew Murray has repetitively been an author I'll read during a spiritual retreat. He keeps me on the rails, and corrects blind spots that I've ignored. I think the key message I got out of this book was to look at opposition as an opportunities to not take myself so seriously, to prefer others over myself, and allow space for Jesus to vindicate me. As the song goes: Humbly thyself in the sight of the Lord, and he will lift you up. 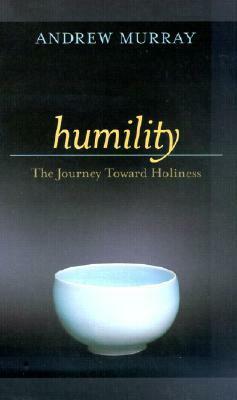 The best book on Humility I have ever read. It is only 53 pages, but it's not a short read. Take your time reading it for the best understanding and results. Very nice read and much wisdom gained from Humility. There is, it seems to me, that there is a tension in the Bible between loving and accepting oneself and humbling/denying oneself. We are told on the one hand to love our neighbors as ourselves (implying that we DO love ourselves) and we are told on the other hand to deny ourselves and follow Christ (who denied Himself as co-equivalent with Father and Son in order to experience the indignity of human existence and death in disgrace). In Humility, the distinguished pastor/author of yesteryear, And There is, it seems to me, that there is a tension in the Bible between loving and accepting oneself and humbling/denying oneself. We are told on the one hand to love our neighbors as ourselves (implying that we DO love ourselves) and we are told on the other hand to deny ourselves and follow Christ (who denied Himself as co-equivalent with Father and Son in order to experience the indignity of human existence and death in disgrace). In Humility, the distinguished pastor/author of yesteryear, Andrew Murray, emphasizes the latter. He contends that “Self is the root, the branches, the tree, of all the evil of our fallen state.” (p. 98) He recognizes that human arrogance with its refusal to focus on subjective needs and desires is the source of sin. So, he pounds hard on dealing with “self” in order to help the reader focus on Christ as our example of humility, humility which is, indeed, the root of the tree of goodness, obedience, and relationship with God in our lives (p. 18). And, “If humility is the root of the tree, its nature must be seen in every branch, leaf and fruit.” (p. 19) That is, our lives and what we accomplish should point to what God did in Jesus and is doing in us at the present. Here, I must once again interject a caveat. Murray is looking at the universal nature of pride, of human arrogance, and noting how important it is to put the totally-self-centered, totally self-aggrandizing, totally self-satisfied motivations of the self to “death” in order to follow our Lord, BUT we cannot go too far here in debasing the sculpture before we insult the Sculptor (perhaps, I should appeal more to Jeremiah and talk about deforming the pottery without insulting the Potter). The Creator God made humanity with potential and creativity. Certainly God wants to participate in helping us reach as much of that potential and creativity as possible. Indeed, that’s why the preferred word for the Holy Spirit in the Gospel of John seems to be “Paraclete,” “the one calling alongside,” the “coach,” the “mentor.” We need God’s empowering presence, but that doesn’t mean denying what God has done in making us. As the late Grady Nutt used to say, “I’m me and that’s okay, cuz God don’t make no junk!” Murray is making a valid point, but we shouldn’t let that other insight be blotted out in self-deprecation. Murray’s book is useful, however, in pointing to God’s topsy-turvy way of turning our expectations upside-down. It isn’t always the smartest, the wealthiest, the most talented, or the one who makes the most effort in God’s work who is blessed with success and collateral blessings. God chooses the unlikely to show us that no matter what potential or creativity we have, God is the power Who takes us “over the top.” As Murray cleverly writes, “Humility is the only ladder to honor in God’s Kingdom.” (p. 29) He’s right, but I truly believe he sometimes throws out God’s seed plants with the weeds of self-centeredness equivalent to sinful arrogance. Another problem with this little work was his indistinct view of the Trinity. He states that in the resurrection of Christ and, “In His ascension, He received the Spirit of the Father, through whom He might do what He could not do while on earth. Then He was able to make Himself one with those He loved, and actually live their life for them, so that they could live before the Father in a humility like His, because it was He Himself who lived and breathed in them.” (p. 39) I know the understanding of the unity of the Trinity is an impossible concept for humans to get their heads around, but this seems like a gross oversimplification where the Holy Spirit’s role as Paraclete, coach, and mentor is reduced to being the “battery power” for the Son. Much as I have always admired Murray, I think this treads dangerously toward heresy in making the Holy Spirit less than wholly God. Jesus taught that a separate encounter with God was coming as a “Comforter.” That didn’t mean that Jesus was coming back with more “battery power.” I hope this doesn’t offend anyone; I’m just bothered by what appears to be disrespect for the work of the Holy Spirit in an author who is famous for his teaching on the Holy Spirit. It seems inconsistent. I do appreciate his emphasis on humility in daily life: “Our humility before God has no value, except that it prepares us to reveal the humility of Jesus to our fellow men.” (p. 45) “The one infallible test of our holiness will be the humility before God and men which marks us.” (p. 51) Murray even talks about how one’s consciousness of having sinned in the past and being vulnerable to sinning again that keeps one truly humble (p. 64). That rings very, very true from my personal experience. To be honest, Humility isn’t as good as I remembered from reading portions a while ago. It is worth reading as a corrective for believers who think that they can accomplish a lot for God instead of by means of God’s presence and power. Theologically, it has helpful insights that veer dangerously toward logical boundaries that I’m sure Pastor Murray didn’t intend to cross. I hope I haven’t poisoned the idea of this book, merely warned of possible excesses. This book was formative in my thinking and life several years ago. It was good to read through it again and be reminded of the centrality of, the path to, and the blessings of humility. As God is the ever-living, ever-present, ever-acting One--who upholds all things by the Word of His power, and in whom all things exist--the relationship of man to God could only be one of unceasing, absolute, universal dependence. . . . Man need only look back to the origin of This book was formative in my thinking and life several years ago. It was good to read through it again and be reminded of the centrality of, the path to, and the blessings of humility. To many of us it has been a new joy in the Christian life to know that we may yield ourselves as servants, as slaves to God, and to find that His service is our highest liberty--the liberty from sin and self. We need now to learn another lesson--that Jesus calls us to be servants of one another, and that, as we accept it heartily, this service too will be a most blessed one. It will be a new and fuller liberty from sin and self. At first it may appear hard; this is only because of the pride which still counts itself something. If once we learn that to be nothing before God is the glory of man, the spirit of Jesus, the joy of heaven, we will welcome with our whole heart the discipline we may have in serving even those who try to vex us.... no place will be too low. No stooping will be too deep, and no service too mean or too long continued, if we may but share and prove the fellowship with Him who spoke, 'I am among you as he that serveth' (Luke 22:27). How can I die to self? The death to self is not your work; it is God’s work. In Christ you are dead to sin. The life there is in you has gone through the process of death and resurrection. You may be sure you are indeed dead to sin. But the full manifestation of the power of this death in your disposition and conduct depends on the measure in which the Holy Spirit imparts the power of the death of Christ. And it is here that the teaching is needed. If you want to enter into full fellowship with Christ in His death, and know the full deliverance from self, humble yourself. This is your one duty. Don't get me wrong. Murray is dead on when he talks about humility being the key aspect of holiness, with pride being the terrible hindrance to holiness. About halfway through I thought Murray started repeating himself and it got a little harder to focus as he talked about 'humility and ____' for several chapters. I wish everyone would read Murray's treatise though, because humility is not only lacking in the church but in the world as a whole. As one of my (agnostic) friends says: "It's nice th Don't get me wrong. Murray is dead on when he talks about humility being the key aspect of holiness, with pride being the terrible hindrance to holiness. About halfway through I thought Murray started repeating himself and it got a little harder to focus as he talked about 'humility and ____' for several chapters. I wish everyone would read Murray's treatise though, because humility is not only lacking in the church but in the world as a whole. As one of my (agnostic) friends says: "It's nice that Christ promises the Earth to the meek, cause that's certainly not who owns it now." Humility isn't and shouldn't be a purely Christian ideal, but Christians ought to strive for it as the base of their daily lives seeing as how if I could sum up Jesus in two words it would be 'humble' and 'servant'. It's a tragedy to me that all too often Christians are too busy being prideful leaders to consider the character of Christ. It's been said that Christianity started in Jerusalem as a movement, went to Greece and became a philosophy, moved to Rome and became a religion, traveled to Europe and became a culture, and finally arrived in America and became a business. We need to un-business-ify Christianity. "I stand amazed at the thought of how little humility is sought after as the distinguishing feature of the discipleship of Jesus." "His humility is our salvation. His salvation is our humility." "The truth is this: Pride may die in you, or nothing of heaven can live in you." "...you would rather wish to be the footstool of all the world than want the smallest degree of it." "It is humility alone that makes the unpassable gulf between heaven and hell." "Humility towards men will be the only sufficient proof that our humility before God is real." "...humility is the taking our place in God's presence to be nothing but a mote dwelling in the sunlight of His love." p. 12 to present itself an empty vessel, in which God can dwell and manifest His power and goodness. Humility, the place of entire dependence on God, is, from the very nature of things, the first duty and the highest virtue of the creature. In fact, it is the root of every virtue. p. 13 Jesus Christ took the place and fulfilled perfect humility. His humility is our salvation. His salvation is our humility. p. 16 And let us believe that, when we are broken down under a sense of our pride, and of our p. 12 to present itself an empty vessel, in which God can dwell and manifest His power and goodness. p. 16 And let us believe that, when we are broken down under a sense of our pride, and of our impotence to cast it out, Jesus Christ Himself will come in to impart this grace too as a part of His wondrous life within us. p. 19 Pride has its root and strength in a terrible spiritual power, outside of us as well as within us; and as needful as it is that we confess and deplore it as our very own, of equal importance is the recognition of its Satanic origin. Our hopeless struggle against the workings of self and pride within us may indeed become still more hopeless as we think of the power of darkness behind it all; but the utter despair will fit us the better for realizing and accepting a power and a life outside of ourselves, even the humility of heaven as brought down and brought nigh by the Lamb of God, to cast out Satan and his pride. p. 103 It is humility alone that makes the unpassable gulf between heaven and hell. Pride and humility are the two master powers, the two kingdoms in strife for the eternal possession of man. Humility by Andrew Murray is an excellent devotional on the subject of humility and a must read for every Christian. It is in the public domain. So the price is perfect. Below is the Table of Contents. Preface: Why Focus on Humility? 9. 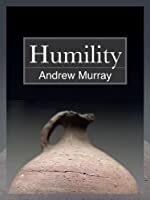 Humility and Fa Humility by Andrew Murray is an excellent devotional on the subject of humility and a must read for every Christian. It is in the public domain. So the price is perfect. Below is the Table of Contents. "The call to humility has been too little regarded in the church because it's true nature and importance has been too little apprehended. It is not a something which we bring to God, or He bestows. It is simply the sense of entire nothingness, which comes when we truly see how God is all and which we make way for God to be all." "In the life of earnest Christians, of those who pursue and profess holiness, humility ought to be the chief mark of their uprightness." This book accurately defines true "The call to humility has been too little regarded in the church because it's true nature and importance has been too little apprehended. It is not a something which we bring to God, or He bestows. It is simply the sense of entire nothingness, which comes when we truly see how God is all and which we make way for God to be all." At the beginning of my edition (Bethany House 2001, also pictured in the thumbnail), Susan Nikaido says: "This is a book to be underlined, mediated on, quoted, prayed over, and read again and again." Don't read this book too fast--if you do, go back and think about what you've read. It's short but packed with precious nuggets of truth that deserve meditation and reflection. My second time reading it, the words are just as challenging and piercing as when I first encountered this little gem. Excell At the beginning of my edition (Bethany House 2001, also pictured in the thumbnail), Susan Nikaido says: "This is a book to be underlined, mediated on, quoted, prayed over, and read again and again." He is God, I am not! What a liberating, joyful truth! I took this book on vacation and lost it! I was so disappointed. It was such a good book. One to read over and over and be reminded how ugly and destructive pride is and how necessary humility is to the Christian life. Found a copy for my kindle! A book to cherish and read often. This book needs to be reread. it's short, but quite powerful. There's far too much depth here to get everything in a single reading. Prayer and contemplation should have regular places as you make your way through it. One of the most useful and powerful books I've ever read and reread. Simple yet profound. I would consider this must read material for any serious seeker of the kingdom of God. I am impressed by what our brother saw, that humility is not mere brokenness ("In their spiritual history men may have had times of great humbling and brokenness, but what a different thing this is from being clothed with humility") nor an outward attribute (“Look not at pride only as an unbecoming temper, nor as humility only as a decent virtue: for the one is death, and the other is life... So much as you have of pride within you, you have the fallen angels alive in you; so much as you have of I am impressed by what our brother saw, that humility is not mere brokenness ("In their spiritual history men may have had times of great humbling and brokenness, but what a different thing this is from being clothed with humility") nor an outward attribute (“Look not at pride only as an unbecoming temper, nor as humility only as a decent virtue: for the one is death, and the other is life... So much as you have of pride within you, you have the fallen angels alive in you; so much as you have of true humility, so much you have the Lamb of God within you”), but it is nothing separate from Christ. He saw that man is a vessel [Yes, he used that exact word!] and that humility is to be nothing and be emptied of the self so that we could be filled with God and allow Him to be our all in all. Reading this book showed me that in the ministry, we really do stand on the revelations given to our forefathers. That God may be all. I listened to this as an audiobook instead of reading it. I think that was a mistake, because if I'd been reading a physical copy I would have gone over every paragraph about three times- the way it deserves to be read- and probably gleaned waaaaaay more. (Then again, that would have taken forever, so maybe the audiobook wasn't a mistake?) ;) But that phrase- "That God may be all," kept repeating, over and over, each time as wonderful as the last. This is beautiful book, empha That God may be all. This is beautiful book, emphasizing how humility (I know, that's really surprising considering the title!) is essential in becoming Christ-like. The word usage and convicting message gave me a strong Oswald Chambers feel, and if that doesn't make you want to go out and find this book and just read read read it then you're wasting your time reading this review because our taste in books obviously doesn't match. I wish I could’ve hung out with Andrew Murray so that I could see how all this looks in practice. Humility. Death to self. Not what most of us gravitate toward. But I sensed a greater more beautiful life being offered in its pages. This book is fundamental to following Jesus in the way he intended. Does death to self hurt? Only our flesh. Librarian Note: There is more than one author in the GoodReads database with this name. .
Murray was Born in Cape Town, South Africa, Murray became a noted missionary leader. His father was a Scottish Presbyterian serving the Dutch Reformed Church of South Africa, and his mother had connections with both French Huguenots and German Lutherans. This background to some extent explains his ecumenical s Librarian Note: There is more than one author in the GoodReads database with this name. .
Murray was Born in Cape Town, South Africa, Murray became a noted missionary leader. His father was a Scottish Presbyterian serving the Dutch Reformed Church of South Africa, and his mother had connections with both French Huguenots and German Lutherans. This background to some extent explains his ecumenical spirit. He was educated at Aberdeen University, Scotland, and at Utrecht University in the Netherlands. After ordination in 1848 he served pastorates at Bloemfontein, Worcester, Cape Town, and Wellington. He helped to found what are now the University College of the Orange Free State and the Stellenbosch Seminary He served as Moderator of the Cape Synod of the Dutch Reformed Church and was president of both the YMCA (1865) and the South Africa General Mission (1888-1917), now the Africa Evangelical Fellowship. He was one of the chief promoters of the call to missions in South Africa. This led to the Dutch Reformed Church missions to blacks in the Transvaal and Malawi. Apart from his evangelistic tours in South Africa, he spoke at the Keswick and Northfield Conventions in 1895, making a great impression. upon his British and American audiences. For his contribution to world missions he was given an honorary doctorate by the universities of Aberdeen (1898) and Cape of Good Hope(1907).